Every now and then you meet a yacht built to sail the seven seas, and Duetto is one of those yachts. Duetto is a thirty-six foot ferrocement vessel built in New Zealand. It has a strong pilot house and an exceptional layout with plenty of room for world voyagers. Duetto is a motorsailer which is unusual for a boat its size; most motor sailors are much larger. 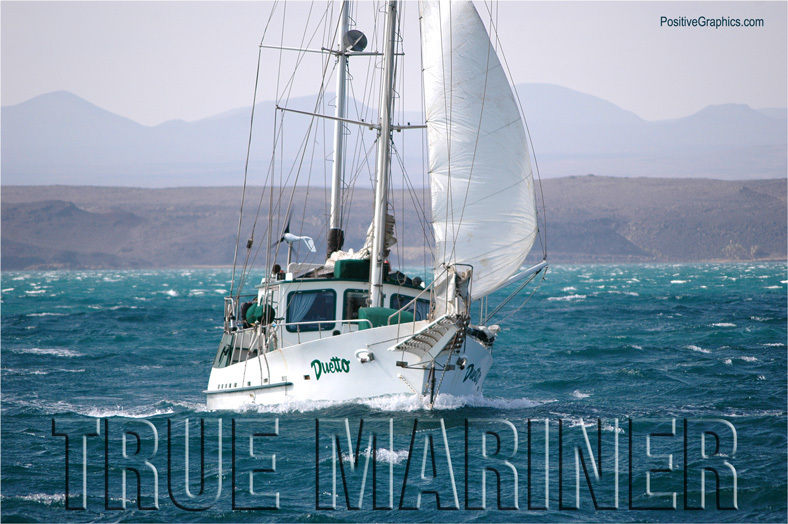 It has an Isuzu diesel that economically ticks off the miles when there's not enough wind to sail. It has a sea kindly motion and is a well-behaved sailing platform in rough seas. 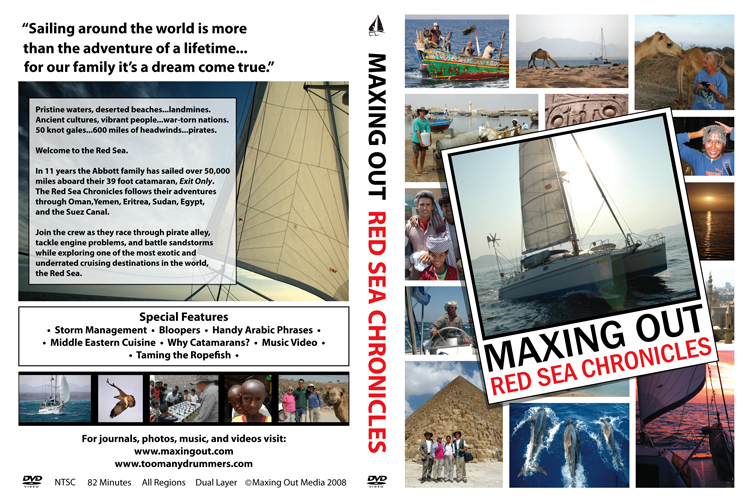 We sailed in Duetto's company sharing adventures from Thailand to Turkey. We survived the global tsunami in Thailand, we sailed across the debris filled Indian Ocean after the tsunami, we braved the pirates of the Gulf of Aden, we stood up to steep seas and strong winds in the Bab Al Mandeb, we overcame Eritrean dengue fever, we navigated the Suez Canal, we ran the Israeli navy gauntlet, we cruised the Turkish Coast, and we did it all in a sensible seamanlike manner. This picture shows Duetto getting underway, chugging along the Eritrean Coast, after two days of sandstorms at Ras Terma. Duetto looks tough because she is tough. She's a true mariner.